Whisky distilleries and shops are popular with visitors to holiday accommodation in Perthshire. 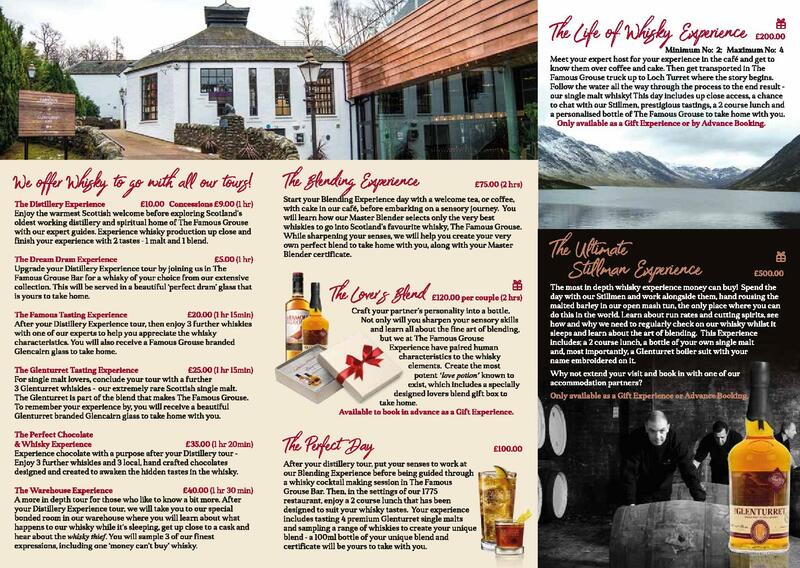 You don't even have to like whisky to enjoy an entertaining tour of the central and Perthshire whisky distilleries but you would miss out on the rich variety of flavours that Scotland 's best known elixir offers. Whisky is made and sold all over the world. The word "Scotch" however is protected by law and can only appear on labels if a whisky has been distilled in Scotland. The word whisky comes from the Gaelic for "water of life" which is "usquebaugh" stemming from the first two syllables which sound like "eoosky"
There are over 125 distilleries in Scotland including Speyside, Highland , Islay , Campbeltown, Lowland and Island regions with over 160 brands of single malt, grain and blended scotch. Distillery tours offer stories on the history of Scotch Whisky distilleries and brand names. Find out about blended whiskies versus malts. Learn how the professionals use their senses to distinguish appearance, bouquet, palate and finish. Visit the oldest and the smallest distillery in Scotland . Every road leads to a distillery when you are staying in Perthshire accommodation in the neighbouring villages of St Fillans, Lochearnhead, Balquhidder and Strathyre. For example, you can visit Perthshire's oldest distillery, Glenturret (Famous Grouse) by driving east on the A85 through Lochearnhead and St Fillans towards Crieff. Tullibardine distillery in Blackford can be reached by driving through St Fillans on the A85 turning right at Comrie following signs from the Braco road or via Strathyre on the A84 through Doune. Follow the A84 north all the way to the Oban distillery or take a ferry from Oban to the island of Mull and experience the Tobermory distillery. Take the A84 from Lochearnhead through Killin and follow the signs to the Aberfeldy Distillery, continue to Edradour near Pitlochry (the smallest distillery in Scotland ) then on the Blair Atholl distillery. Go south through Strathyre and you will come to the Deanston distillery in Doune on the road to Stirling . This region of Perthshire is also known as the gateway to the Highlands which opens up a whole new list of distilleries to experience on day trips. Many LETI accommodation members are also Ambassadors of Grouse. This means that you can ask whoever you book with if they can give you 2 for 1 vouchers for The Famous Grouse Whisky Experience near Crieff just off the A85. If you really want to get into the Scottish spirit use the ancient toast "slàinte mhath" pronounced (sl ɑ nd ʒ ə va) which means good health. 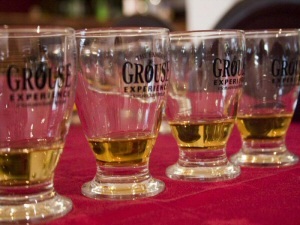 Special 10% Discount Offer at the Grouse Whisky Experience? Ask for the LETi member special discount instructions for entry to the Grouse Whisky Experience when you are booked with or staying in accommodation belonging to one of our members listed on this website. .